Degree in Medicine and Surgery from University of Messina in 1981. Degree in Neurology at University of Pavia in 1985. During the past 20 years, responsible for clinical trials and observational studies on the treatment with pharmacological and non-pharmacological therapies in migraine, chronic migraine, medication overuse headache, and cluster headache; on assessment of disability, quality of life, and costs in headache patients; on headache in SM, IIH, SIH. PI of research programmes financed by the C. Besta Neurological Institute, Scientific Societies, pharmacological companies, and the Italian Ministry of Health. First author and co-author of more than 200 papers published on international journals. Member of the International Headache Society, the American Headache Society, the Italian Neurological Society (SIN). Member of the International Headache Society Clinical Trials Subcommittee (Guidelines for controlled trials of drugs in migraine), chaired by Prof. P. Tfelt-Hansen (2010-2011). 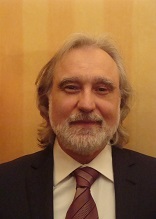 Among the founding members of the Italian Neurological Association for Research in Headache (ANIRCEF) (2002); Secretary of this society from 2008 to 2010, among the Board of Directors in 2011-2012. Associate Editor of the journal “Headache”, official publication of the American Headache Society (2011-2013); member of the Editorial Board of the journal “Headache Currents” (2016-ongoing), and then Associate Editor of the supplement “Headache Currents”. Reviewer for several journals. Regular speaker at updating Meetings; Faculty of numerous International Meetings. Lecturer at the Courses for Neurologists held by the Association of Headache School (ASC); Scientific Secretariat of several Meetings organized by Scientific Societies. Migraine (M) and Tension-type headache (TTH) are the most common forms of primary headaches. They can be regarded as chronic neurological conditions with episodic exacerbations. In M, attacks of head pain include associated autonomic symptoms, such as nausea, vomiting, hypersensitivity to sensory stimuli, pallor, and possible transitory neurological symptoms , such as visual or sensory disturbances (aura), or behavioral prodromes. Different clinical forms are described, both for M and TTH, on the basis of average frequency and other clinical features, and internationally accepted diagnostic criteria are available for each subform (the International Classification of Headache Disorders, ICHD, first edition delivered in 1988, 3rd edition published in 2018). M and TTH are highly prevalent disorders, particularly in young adults and among women, and cause significant disability in daily activities, diminished quality of life – and relevant societal costs. The mechanisms underlying primary headaches are not fully understood. A genetic predisposition is likely but it has been demonstrated only for rare conditions (FHM). Functional alterations at different levels have been postulated on the basis of clinical features and different areas of research (e.g. functional MRI), and they include complex alterations in those CNS areas involved in the elaboration of pain and emotions, peripheral and central sensitization, and neurovascular activation (in M). The management of M and TTH is an important health care issue. It includes avoidance of trigger factors, lifestyle modifications, non-pharmacological therapies, and- mainly – medications. Pharmacological treatment is traditionally divided into acute or symptomatic treatment , intended to relieve attacks (NSAIDS, triptans, analgesics), and preventive treatment or prophylaxis , with the aim of reducing the frequency of attacks. As far as M prophylaxis, different drugs are recommended by international guidelines, belonging to several classes, such as beta-blockers, AED, antidepressants, etc. For TTH , evidence exists for preventive efficacy of amitriptyline and venlafaxine; also muscle relaxants, anxiolitics, mirtazapine, magnesium salts are often used. Clinicians should be aware of the different treatment options, in order to choose the specific treatments in an individual patient, based on a comprehensive evaluation, which has to take into account also interference with comorbid conditions, personal and social aspects, problems of adherence to treatment schedules.